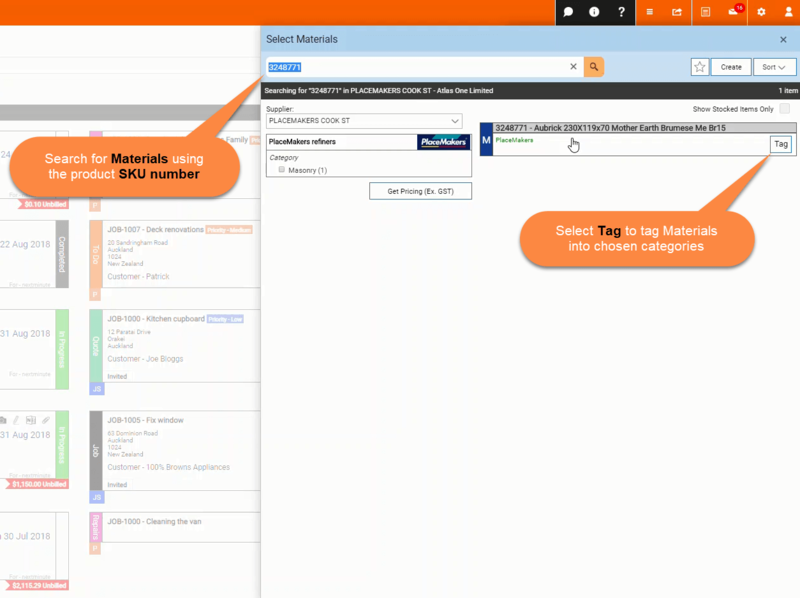 Add Materials to a Job - PlaceMakers – Welcome to the NextMinute support and feedback centre. 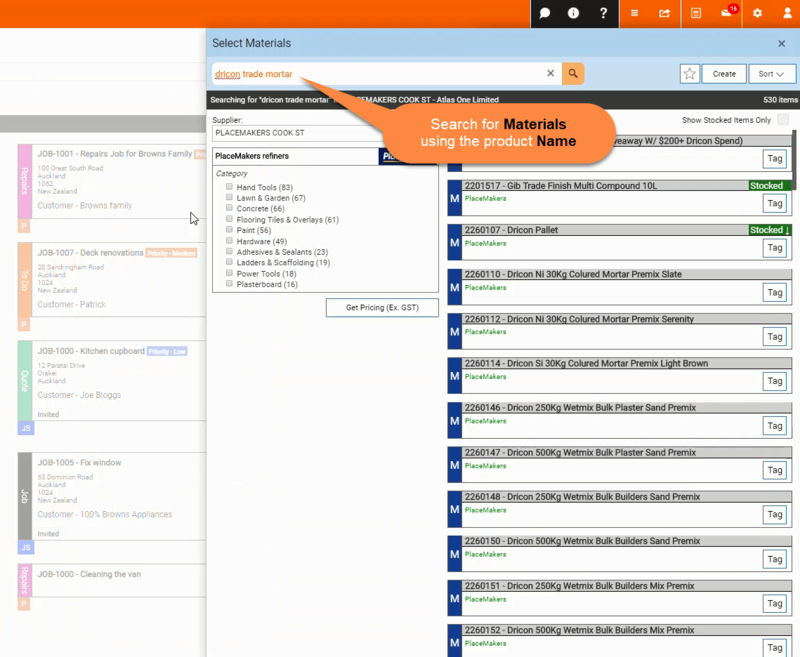 Easily find and add Materials from PlaceMakers straight to a Job. 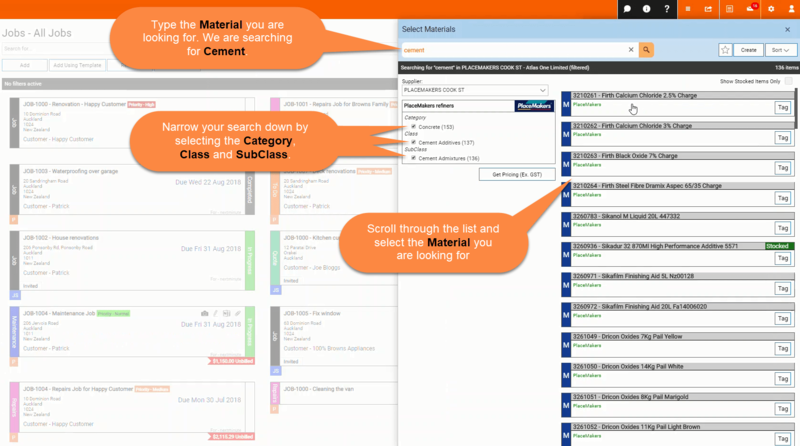 Search for materials by typing into the search by and narrowing down your search by selecting category, Class and SubClass. 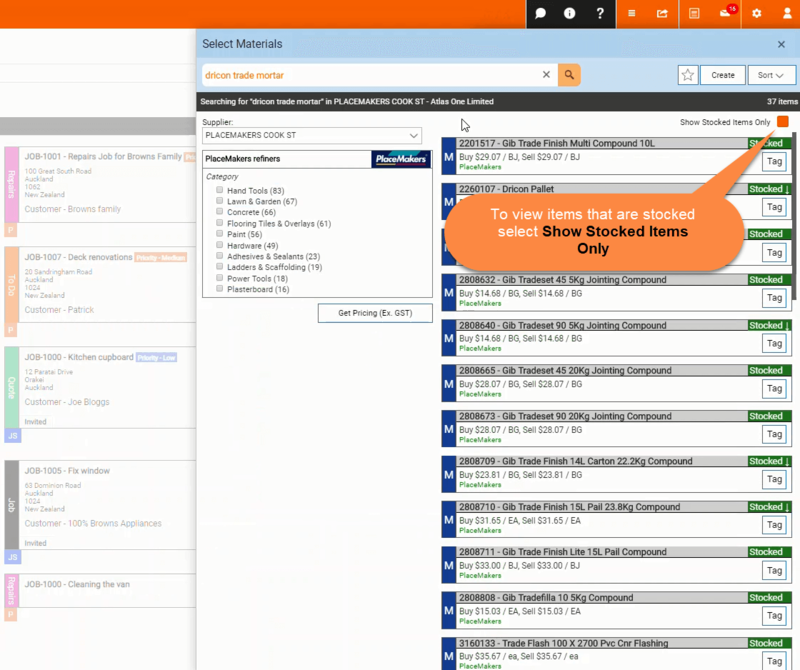 Search for items that are stocked. You will see a confirmation message at the top to confirm your Material has been saved, as shown below. View the Job's Charges from the Job Details flyout, here we can see the total price of the Materials we just added. 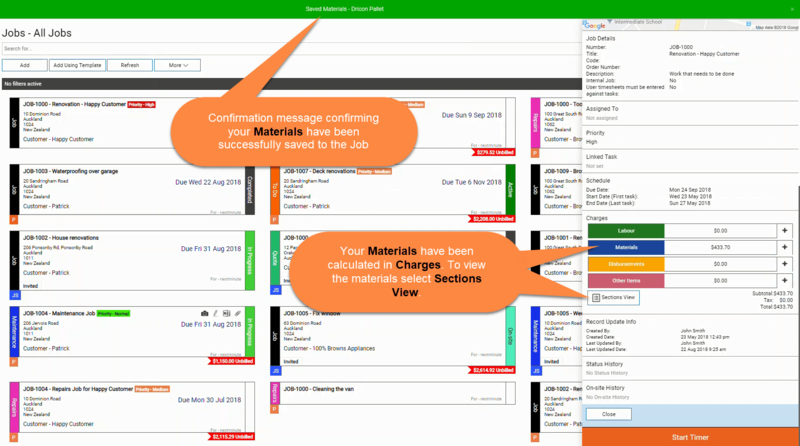 Selecting Sections View will bring up the Charges you have added to the Job. The below image shows the Materials we just added to the Job and their details. 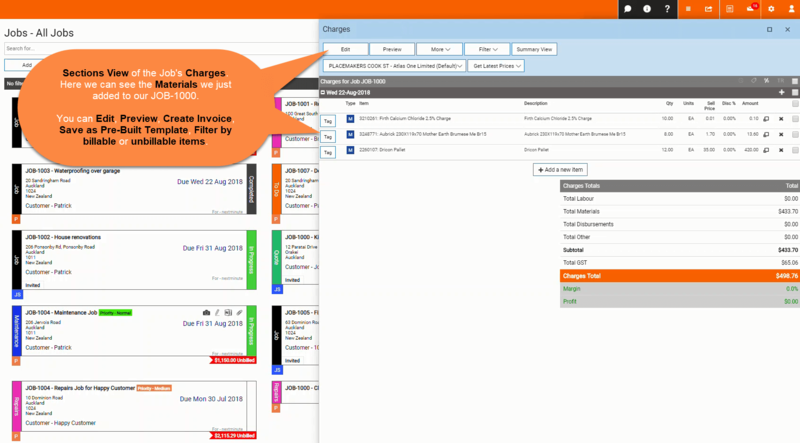 Select to Edit the Charges, Preview , Create an Invoice from Charges, Save as a Pre-Built Template or Filter by billable or unbillable items. 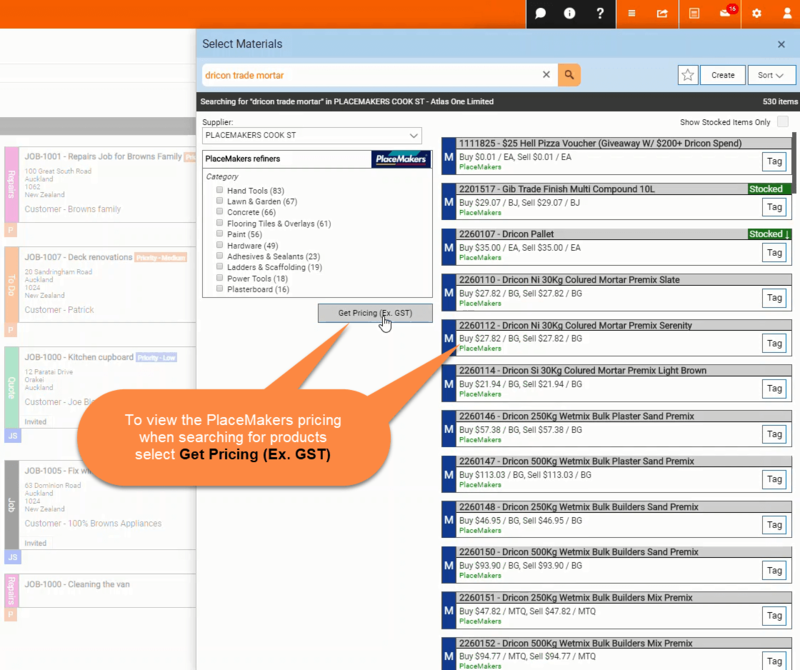 Also you can change your PlaceMakers account or branch, and get latest buy and sell prices.